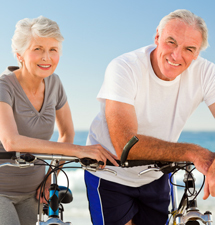 GRAND RAPIDS, Mich. – The Elder Law Firm PC, an Elder Care law firm that has been serving Michigan retirees in the greater Grand Rapids area for over 18 years, has recently teamed up with Seniors Helping Seniors in an effort to expand their educational outreach program. According to Gregory Hodge, JD, an attorney with The Elder Law Firm PC, the Elder Care law firm’s new partnership with Seniors Helping Seniors will allow them to provide an even greater depth of information about in-home care and other long-term care options than their current program, which has consisted of providing free workshops for local retirees at least twice a month for the past three years. 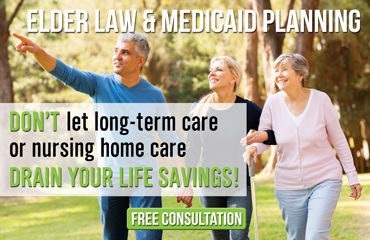 Attorneys at The Elder Law Firm PC specialize in Medicaid and long-term health care issues and practice in the areas of estate planning, Medicaid planning assistance, and Veterans benefits planning. “We find honest ways to protect our clients’ homes, loved ones, values and independence — and in so doing we ensure that our clients never run out of money and never run out of options,” says attorney The Elder Law Firm PC. Their mission is simple: to apply the law for the benefit of their clients, to provide peace-of-mind solutions and to protect everything that their clients own and everyone that they love — to the greatest extent legally possible — in strict accordance with the highest possible moral and ethical standards. For Seniors Helping Seniors the goal is twofold: to help seniors maintain their independence with the dignity and respect they deserve and to provide an opportunity for healthy and active seniors to not only do good and help another senior, but also supplement their own retirement income. The two organizations will be working together to provide educational events on a regular basis, free of charge, as a service to the community. The workshops will explore the benefits of remaining at home and teach seniors how to maintain a safe environment in the home and how they may be able to take advantage of options like the Aid and Attendance program to help them fully utilize services like those offered by Seniors Helping Seniors. What long-term care expenses will this cover?